This year’s flu season proved to be one of the worst in decades, and new evidence shows it isn’t over yet. The Centers for Disease Control and Prevention issued a warning this week that a new strain of flu is making a push in the U.S.
OMRF immunologist Eliza Chakravarty, M.D., said the predominant strain for this season’s outbreak has been influenza A, specifically H3N2. Cases of this strain of flu are now on the decline. But flu cases involving another strain—influenza B—appear to be surging. 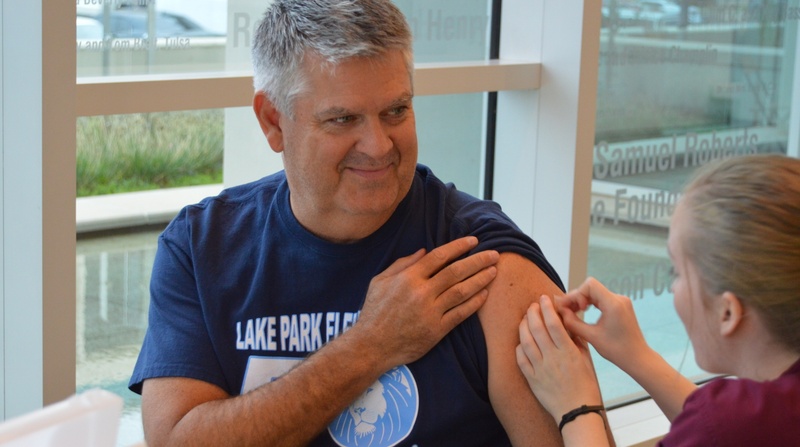 Even though this year’s flu shot proved largely ineffective against H3N2, it does appear to be far more effective in preventing influenza B. This means getting a flu shot is still your best possible defense against contracting the virus. From Sept. 1 through March 17, the Oklahoma State Department of Health reports 242 flu-related deaths in the state, as well as more than 4,450 hospitalizations.